Behold TIFF’s list of Canada’s All-Time Top Ten, a quasi-decennial poll (previously conducted in 1984, 1993, and 2004) in the Sight & Sound mould culled from ballots cast by some 200 voters. 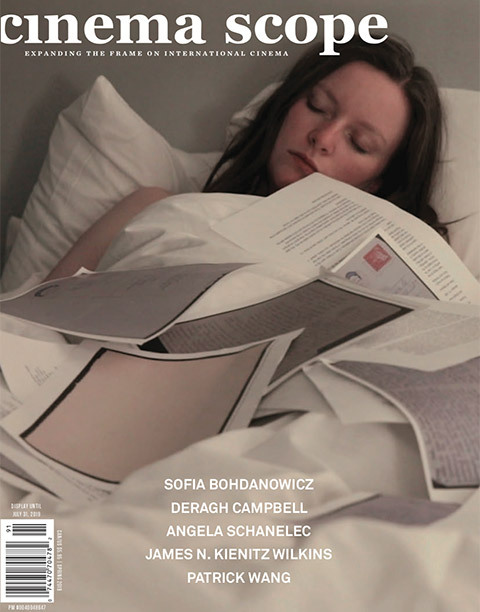 These include, but are not limited to, festival programmers, filmmakers, producers, critics, bloggers, and Tweeters (including several writers for this magazine). I’ll hold off doing a film-by-film rundown of the top ten, because notes are available on TIFF’s website (along with a schedule for the free screening series in Toronto this summer that accompanies the poll) and because I’m not sure what exactly I can say about Mon oncle Antoine or Les Ordres that hasn’t already been said, aside from the fact that in my opinion they are indeed pretty great (the best movies on the list). Gravestock also suggests that the first-place finish of Zacharias Kunuk’s Atanarjuat, previously number five with a bullet on the 2004 list, should be taken as a point of pride. “This is likely the first time that a film by an indigenous filmmaker has topped a poll of national cinema,” he writes, and while this might be true, that’s not the only thing that’s going on here. One tack to take is that the coronation of Atanarjuat over previous undisputed champ Mon oncle Antoine represents a shift akin to Vertigo pipping Citizen Kane at the post in the 2012 Sight & Sound poll: the overturning of an established order (not that anyone is comparing Mon oncle Antoine to Citizen Kane). Considering how many of the old favourites still factored in to the top ten, however, it seems more accurate to frame the victory of Kunuk’s exciting, extraordinarily well-made, and duly Cannes-awarded Inuktitut epic in a different way. To me, it has at least as much to do with the performative aspects of internet list-making—the kind where every respondent’s choices are available at the click of a track pad—as some sudden, collective eagerness within Canadian film culture to trumpet a work that emanates from somewhere beyond the Two Solitudes. 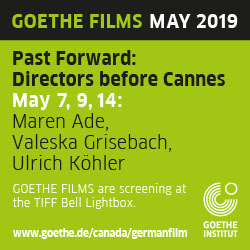 Or to put it another way: as in every part of our cultural lives, when it comes to cinema the quintessentially Canadian qualities of socially-conscious progressiveness and self-conscious image maintenance are so intertwined as to be basically indivisible. I don’t think that the people who voted for Atanarjuat were being exclusively self-serving, or that it’s a negative thing that a critically acclaimed, commercially successful and culturally specific film topped the TIFF list; it certainly beats having to account for the triumph of Mommy. (I’m dreading the call for ballots in 2024, at which point we may actually be living in a non-fictional Canada where Xavier Dolan is prime minister.) But it’s usually healthy to be at least a little bit cynical about consensus and how it is achieved, and, especially, what its possible outcomes might be. If there’s a core problem here, it’s the same one that underlies all of these massive list-making endeavours. Back in the days that Robert Christgau wrote for The Village Voice and presided over the paper’s annual Pazz and Jop Poll, he got to write long and amusing essays (all of which are available on his website, robertchristgau.com) that interpreted the data along the fault lines of hype and taste, and he typically began by noting that each year’s poll was the biggest to date—a boast with a bit of a jagged edge. Even as Christgau ostensibly celebrated the increased reach of the poll (which went ever further with the advent of email), he implied that one of the by-products of increased diversity was, ironically, a regression towards an aesthetic mean. While in theory inviting more people from a greater range of outlets permits the possibility of riskier and more eccentric choices, in reality it just meant more votes for the albums and singles that already had plenty of fans—an eager pile-on rather than a real redistribution of critical support. If anything, having more people involved only made the true outliers seem even weirder and more remote. What Christgau was getting at, beyond subtly jabbing at his peers and asserting his own detached, purely disinterested wisdom, was the idea that consensus is not natural, especially not within a critical community unevenly split between writers who benefit from proudly trumpeting their mainstream tastes and those who style themselves as dissidents. It’s a schism in music writing that’s been complicated by the cheerful emissaries of Poptimism, and which is also basically applicable to contemporary film culture in Canada and the rest of the world. (Twitter makes us all next-door neighbours, which explains all the little menaces who I wish would just get off my lawn already.) The methodology behind consensus-wrangling was no less flawed in the good old days of snail-mail and elitism—you can add up votes without coming close to accounting for taste—but just as the relentless speed of the internet makes instant experts of freelancers assigned to write retrospectives and career pieces on deadline, it warps the foundational idea that each list is created in thoughtful isolation; instead, the act of list-making becomes a kind of public performance. In the weeks before TIFF published its All-Time Top Ten, my social-media feed was crammed with friends and colleagues publishing their own lists in anticipation of the final tally. Some of the possible reasons that people would do this—and I know, because it’s the reason I did it too—is to show off their good taste; to indicate to other participants that they might have forgotten a serious contender or that they might not have seen some key films; or that there were entire genres and subgenres of our national cinema that they had neglected. Obviously, not all of the people who saw these posts replied to them or commented in any way, but there was definitely some gamesmanship going on, and some of the individual lists I saw in advance of the final results looked very different by the time they appeared on TIFF’s website. To give one self-incriminating example, after scanning some of the other submissions I made sure that I found room for Michael Snow, Arthur Lipsett, and Joyce Wieland on my list, since it seemed from the early returns that they were going to get lost in the shuffle. And in the event, they were: Snow’s Wavelength (1967), Lipsett’s Very Nice, Very Nice (1961), and Wieland’s The Far Shore (1976) failed to crack the top ten despite being cited by plenty of respondents, their pockets of support overwhelmed by the nearly across-the-board enthusiasm for the likes of C.R.A.Z.Y. and Stories We Tell. Whatever one thinks of the Jean-Marc Vallée and Sarah Polley films—and I myself think that one of them has done better work elsewhere—it’s hard to deny that their accessibility (in both senses of the term) had a lot to do with their crashing a poll that ultimately featured three films made in the last decade in the Top Ten. To put it plainly, C.R.A.Z.Y. and Stories We Tell and, to an only slightly lesser extent, Guy Maddin’s My Winnipeg (which is also not quite that director’s best film), made the Top Ten not due to the ardent scholarship or desire to be comprehensive about Canadian film history on the part of the poll respondents, but because they were films that those tapped for the poll were almost guaranteed to have seen. They are all festival hits that have been widely distributed in theatres and home video in North America (My Winnipeg was recently released by Criterion), and thus films that all kinds of different film professionals of a certain age have been obliged to see for different reasons: to review them, or interview the cast and crew, or to observe their integrated commercial and artistic success and try in some way to emulate or duplicate it (and probably not to react creatively against it). The relative ubiquity of these films and the sense of interest and involvement that ubiquity generates surely testifies to the quality of the works in some way, but their near-instant canonization on the Top Ten might be more indicative of the narrower frames of reference that come with casting such a wide net. Some might say that it’s ridiculous to claim that a movie made two years ago is one of the best in the country’s history, and whether or not that’s true, it does seem awfully convenient. And when a list like this is published, drawing a line between the all-time best Canadian movies and all the rest of them, the resulting erasure of major figures and entire genres, at least in the media coverage of the event, is hard to ignore. 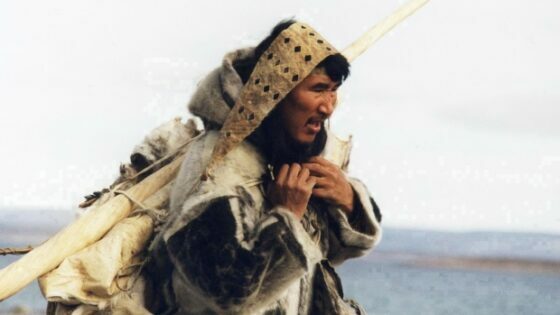 So with this in mind, a film like Atanarjuat becomes a shining beacon of cinematic diversity and permits all of our performative, social-media-conscious list-makers to feel like they’ve covered their bases before moving on to the heavy hitters of French and English Canada. Beyond some cursory clicking, I can’t say how many people voted for various films by Alanis Obomsawin or Willie Dunn (or Colin Low’s 1960 Circle of the Sun), but in the spirit of data analysis it would be interesting to know how many lists contained more than one film by (or even about) aboriginal Canadians. My list contained no such films, and while I know in my heart of hearts that this doesn’t make me a racist—any more than my placing two films by women directors on a list of ten automatically makes me a feminist—it also fills me with a certain anxiety about appearing exclusionary, short-sighted or unbalanced in my selections. I can’t speak for 200 other people, but I can guess that I’m not alone among my fellow Canadians in feeling insecure, and I’d like to suggest that reading this list through a similarly myopic lens—with the voters pointing the microscope at themselves instead of using it to actually pore over Canadian film history—goes a long way towards clarifying the results.